Convenient No-Clog Bottle And Resealable Cap Is Great For Travel. Perfect For Strengthening Repairs And Nail Tip Applications. 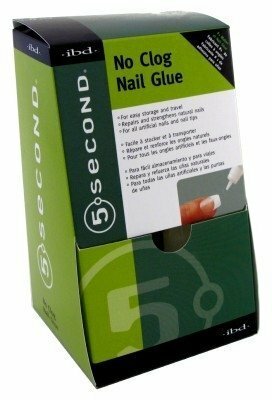 This Glue Is Enhanced With Jojoba Oil Employs A Unique Technology To Prevent Clogging In The Dropper. Convenient no-clog bottle and resealable cap is great for travel. Perfect for strengthening repairs and nail tip applications. This glue is enhanced with jojoba oil employs a unique technology to prevent clogging in the dropper. If you have any questions about this product by IBD, contact us by completing and submitting the form below. If you are looking for a specif part number, please include it with your message.